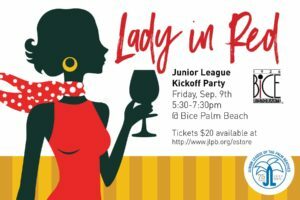 Join the Small Fundraising Committee in kicking off the 2016-2017 Junior League year for a fabulous evening of cocktails and dancing at BICE Palm Beach. Enjoy passed hors d’oeuvres and happy hour drink prices while you catch up with your friends to DJ Adam Lipson from 5:30-7:30pm. 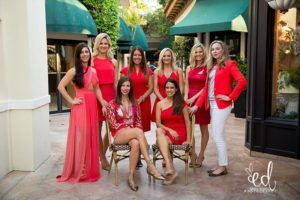 Then, stay for dinner to support the Junior League of the Palm Beaches. BICE is offering a $60 set three course dinner menu with a $10 give back to the League. WE HAVE SOLD OUT!! NO TICKETS AVAILABLE AT THE DOOR! If you want to make reservations instead for dinner, please call BICE directly. We encourage you to wear red to the event (yes, we like themes! ).